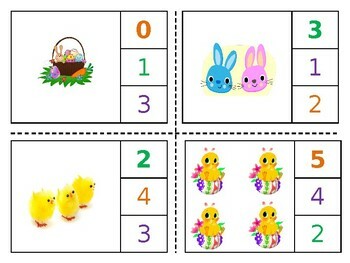 This set of Easter themed count and clip cards includes the numbers 1-20. 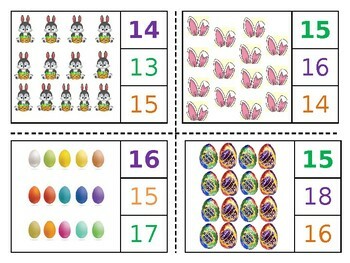 Each card has a different number of Easter items on them. The goal is to count the number of items on the card, and then clip (or mark) the correct number at the bottom. 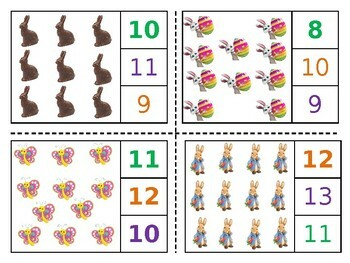 Simply download the free set of counting cards (below), cut them apart and laminate them for extra durability. The easiest way to play is with clothespins (this builds fine motor skills as well), but you can get creative with how the correct number is marked! 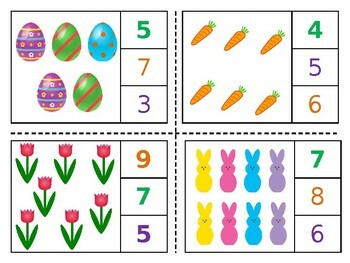 ** If you’re using them with a younger child, just separate the cards and use 1-10 or 1-5. If your child is a bit older or already knows 1-10 well, just skip those and give 11-20 a try.